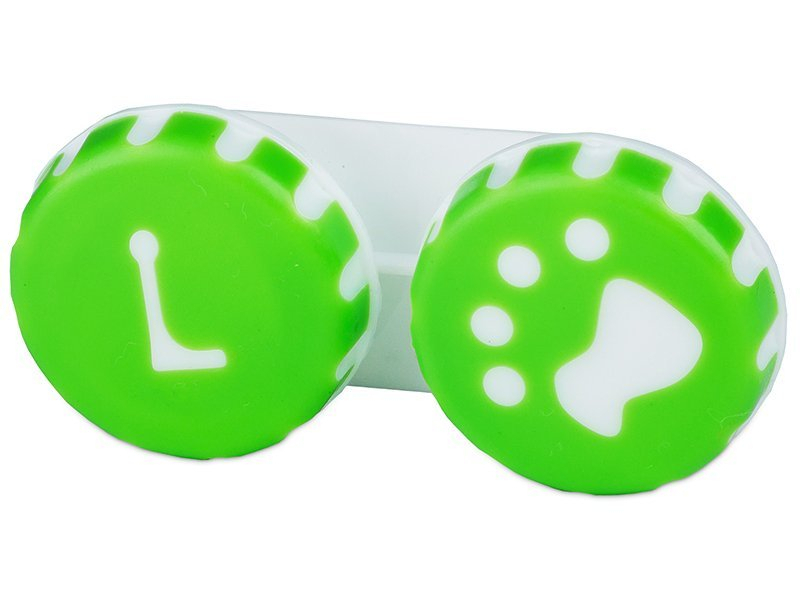 A cute round plastic lens case with a paw motif in green colour for all the animal lovers out there. The paw will remind you every day how and where to store your lenses correctly. Simple shape with easily closable caps for your convenience. This fun lens case is also available in orange and pink colours.